Heck yeah with the champagne! Enjoy your weekend!! Hah! 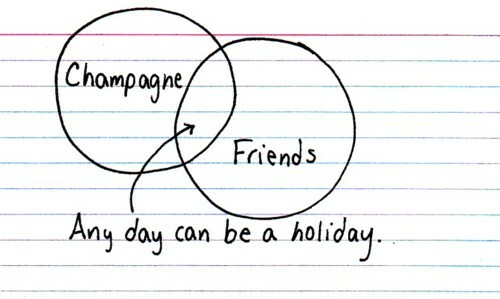 The Venn diagram is too funny! Love! Been there and done that...have those kinds of days lately more than I would like..haha! That diagram is hysterical and I am in full support! Instead of "a day" lets make it a month! Hope it gets better- if not tomorrow is a whole new day!